Important: Note:Packaging of kit items may differ. Thank you for choosing IF 4K which provides an interferential therapy to treat conditions where inflammation is a problem such as Back Pain, Osteoarthritis, Rheumatoid Arthritis, Muscular Pain / Strain, and Sports injuries. IF 4K produces the low frequency current treatment that uses two medium frequency currents, which “interfere” with each other to produce a beat frequency that the body recognizes as a low frequency energy source. The rationale is to overcome the problems caused by low-frequency currents, while maintaining their claimed therapeutic effect. 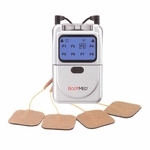 Unlike TENS, which delivers intermittent pulses to stimulate surface nerves and block the pain signal, Interferential Current Therapy delivers continuous stimulation deep into the affected tissue. The actual stimulation is produced by crossing two alternating currents with medium frequencies simultaneously to a targeted body region. As a result, these two currents will superimpose to form a new low frequency current deep within the tissue. 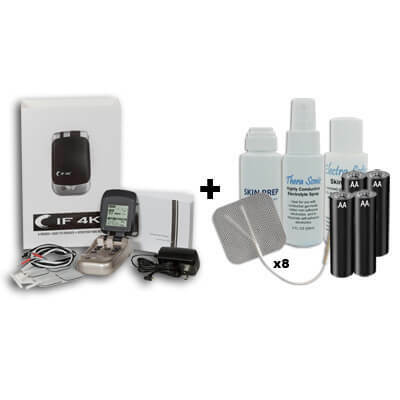 The IF 4K™ digital interferential offers multiple treatment modes and can provide up to two hours of treatment from its AC adapter. 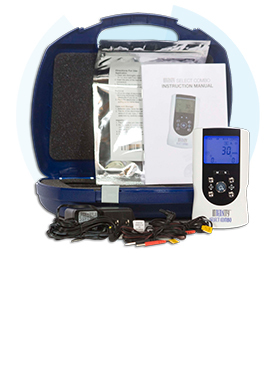 PLUS - TENS Unit Accessories Kit contains everything you need to optimize your TENS/EMS Unit. If the output is continually remained at zero for 5 minutes, the device will then be automatically shut down. Conventional Interferential Current Therapy (IFC) with Channel 1 delivers a fixed 4kHz sine wave, while output of Channel 2 can be varied between 4002Hz and 4160Hz. Pre-modulated Interferential Current Therapy (IFC) in which both Channel 1 and 2 will simultaneously deliver an amplitude-modulated output with beat frequency varies between 2 and 160Hz. 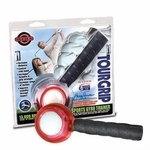 Plus everything included with your TENS Accessories Kit! 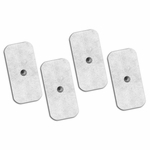 Ideal for use with conductive garments, rubber non-adhesive electrodes, and to re-hydrate self-adhesive electrodes. 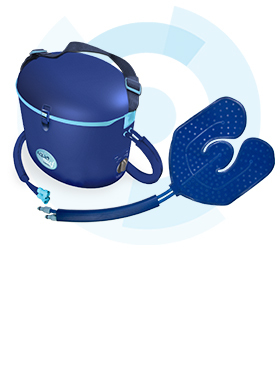 Perfect for use after use of self-adhering electrotherapy sessions to replenish lost moisture and to ease irritation. This is our standard TENS battery. 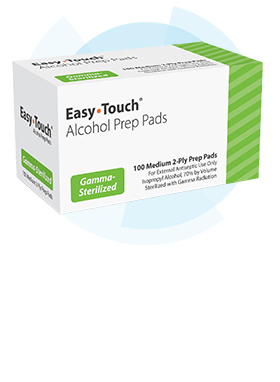 Decreases local perspiration, increases conductivity and protects skin from possible irritation due to prolonged or repetitive electrode stimulation treatments. DO NOT apply to broken skin. Should a skin rash occur, immediately discontinue use and contact your clinician. DO NOT stimulate while driving or operating machinery. 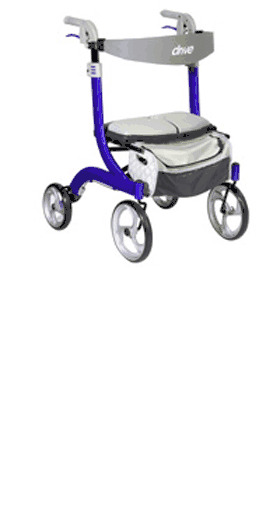 DO NOT exceed 0.1 watts.